The typical day to day activities in my Spanish class are doing worksheets, practicing pronunciation and answering questions. Recently however, instead of doing the normal day-to-day stuff, we got to dance! A dance instructor came in and taught us how to do a bit of the cha-cha, salsa, and mambo. The cha-cha also called the cha-cha-cha originated in Cuba in 1953 and is counted in 4/4 time. The salsa, derived from a dance called the Cuban Son and is danced with eight beats. The mambo originated in Cuba and is counted in fours. We started off with some warm ups and weight changing exercises, basically shifting our weight from one foot to the other. Then we got to incorporate some Spanish and practiced counting so we could keep time while we were dancing. First we learned a few different moves from each style of dance. Then we learned how to do pivot turns and how to spot ourselves while turning. At the end we got to put it all together into a several minute dance. It was really nice to get out of the classroom and get to experience more of the Spanish culture, rather than just talking about it. If you would like to learn more about Latin American dancing you can check out this book, entitled Latin American Dancing from your local library. There are also many other books about latin American dancing or any type of dance. It was really nice to have this opportunity and I hope you can enjoy this art in some way too, whether that is through a book, on television, in movies, or even doing the dances yourself. 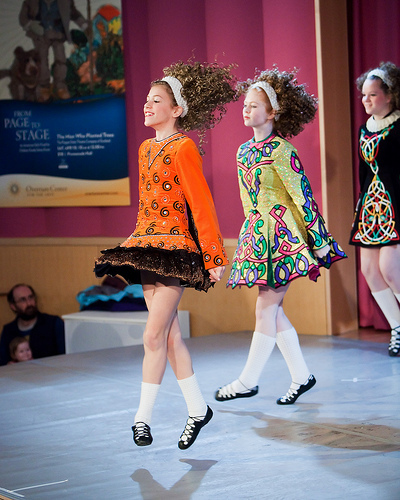 This entry was posted in Music, Teen Powered, Tidbits and tagged Dance, Latin, Northeast Branch, written by teens on August 27, 2013 by Teen Blogger. Ever since 6th grade, I have had a love for the famous dancing couple of the thirties, Fred Astaire and Ginger Rogers. They did 10 movies together, but for me, one stands alone. Swing Time follows the basic thirties romantic comedy musical storyline. Boy meets girl. They fall in love. Boy makes mistake. Girl is upset and does something stupid (such as becoming engaged to a man she doesn’t love, or ignoring the boy for an extended period). Boy redeems himself. They live happily ever after. (With a few songs and dances in between). 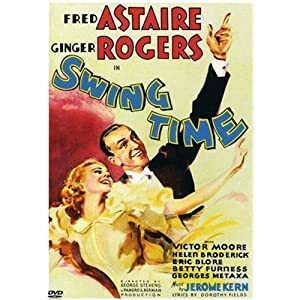 But Swing Time is different simply because of Fred Astaire and Ginger Rogers. Although there may be a weak story line, the dancing is spectacular as are the costumes and the music. Astaire and Rogers’ dances are always flawless and fit the music perfectly. Fred Astaire was always known as a perfectionist and as a result, his dances are astounding. 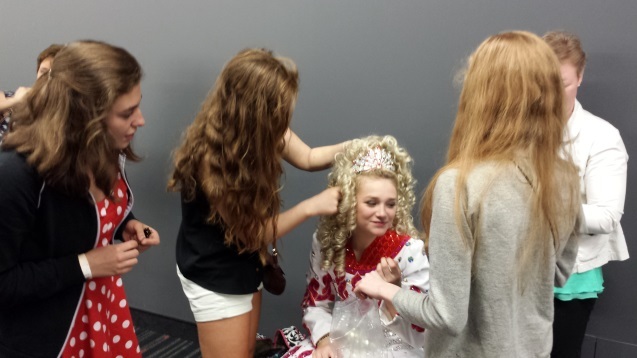 Every time I watch them dance, I get a “a thrill” (as Anne Shirley would say). This entry was posted in Movies, Music, Teen Powered, Tidbits and tagged Dance, Movies, written by teens on February 9, 2011 by Teen Blogger.